Regular testing of students is an excellent way to determine their comprehension of the material being taught in class. It allows teachers to identify any areas of the curriculum which students are struggling with and to identify individuals who are struggling. However, for a test to be valuable, it must be well-structured, free of bias, consistent and fair to all students. Here are some useful tips to help you prepare high-quality tests that will give you valuable insight into your students. Once you have pinpointed why you are testing the students and which aspect of their education you are examining, it is time to write the test. Aim to write tests with questions that are appropriate for your pupil’s knowledge and easy to understand. Here are some tips to help you write an effective test. Use simple language and short questions. Avoid using words or phrases that could be interpreted in multiple ways. Finally, make sure your questions only cover material that has been taught to every student. Students should understand how many points each question on the test is worth. This will help them allot time to each section of the test and decide which questions to concentrate on. Most teachers have classrooms that are filled with students from many different backgrounds. They may come from different socio-economic groups, have a disability or have limited English skills. Perhaps they have only lived in the country for a short period of time and don’t fully understand the culture yet. To avoid biased questions, don’t use colloquial terms that are only understood by a person from a specific background. Additionally, make the test easy to read by using a large font and relatively simple language. Different students may perform better when asked to express themselves in certain ways. They might be very strong with general knowledge, but struggle to analyse information. Use a variety of questions, so those students have a chance to express their knowledge in the test. Test their ability to analyse data, recall facts, comprehend information, apply information to a problem and synthesise ideas. Because exams are so stressful, students can sometimes struggle to express the knowledge they possess. Even though they have memorised a specific fact, they might panic in this stressful environment and not be able to recall it. For this reason, you should ask students questions that have multiple correct answers. For example, you could ask “List 3 of the 5 main reasons World War II started”. Even if the student is drawing a blank on one specific fact, they can use other facts to successfully obtain full marks. While the test should only cover material that has been taught in the classroom, you should always aim to make it challenging, with a portion of questions tackling the more advanced concepts that have been taught. Don’t make tests the only way that students earn marks while in your classroom. If tests are constituting a portion of their grades, have multiple tests throughout the term — this helps to avoid placing too much pressure on students to perform well in a single test. Once you have decided upon some possible questions, perform the test yourself. Writing the answers yourself will give you a rough idea of how long it takes to complete. You can then mark your own test to check how well the points for each question aligns with the time they take to answer. After you have written the test, just double check that the syllabus contains all of the information that students require to successfully complete it. If you are unsure about the type of questions or the marking scheme you have created for your test, ask a colleague for their opinion. They might be able to help you identify any issues. We hope you enjoyed reading Top Tips: Teachers Setting Tests. 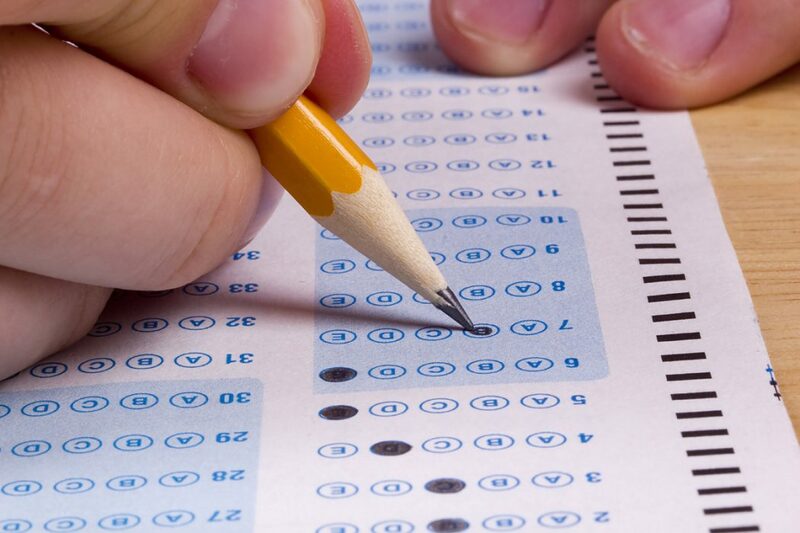 These tips will help you deliver tests that are useful and fair to your students. For more useful articles, follow our blog page.